Plan your next few years with us! Welcome to our vibrant, academic and creative community, and thank you for choosing our graduate program! We offer rigorous and competitive education in MA and PhD streams that provides exceptional research opportunities and interdisciplinary connections at the first-ranked and largest university in Canada in the multicultural urban setting and rich cultural landscape of Toronto. We want our students to have access to a broad range of employment and self-employment opportunities in the academe, creative industries, and the public sectors of education, healthcare, social work and social justice, not-for profit organizations (i.e. scholarly informed activism related to issues of gender politics, indigenous rights, environmental politics, equity, etc. ), as well as in digital and mass media. Some of these opportunities may require specialization in our fields, but may also offer a high level of flexibility in knowledge applications. In order to achieve such flexibility, our focus in both streams is on transferrable skill sets, innovative thinking, resourcefulness, self-motivation, and collaborative modes of work. All graduate programs at our University function under the umbrella of the School of Graduate Studies (SGS), and the SGS website contains information that you should review. For example, Essential Guide for Grad Students 2018-19 outlines SGS services, grant announcements and more; School of Graduate Studies Calendar is a binding document that outlines important regulations that govern graduate programs at U of T; and SGS Sessional Dates outlines important dates and deadlines throughout the academic year. Visit our other financial matters page. For students needing access assistance from the beginning of course work, registration for Accessibility Services happens prior to arrival. Otherwise, calling and making an appointment is the first step. These services primarily benefit those who need accommodations for accessing course work, but a multitude of assistance is available. Please refer to the Accessibility Services website and contact them directly for any questions. Open 365 days a year, the Hart House Fitness Centre features an art deco pool, squash courts, multi-level fitness facilities, suspended indoor track and a variety of spaces for everything from basketball to archery. When you are an eligible U of T student, you are already a member. U of T is a gateway to your academic international experience, with a variety of international initiatives and opportunities available on all three U of T campuses. As a leading research institution in Canada, U of T and its Centre for International Experience provides students with enriching and meaningful opportunities throughout the course of their studies. The Faculty of Arts and Science offers a wide range of activity spaces for sport and recreation, and academic and research programs. The facilities are host to a wide range of programs, including intramurals, intercollegiate sports, drop-in sports and recreation, and registered programs. Student and community groups are able to rent space in their facilities for special events. The Graduate Student Union advocates on your behalf as graduate students, sending weekly, or monthly emails, and provides all kinds of support throughout your time here. For details, check out the Graduate Student Union website. 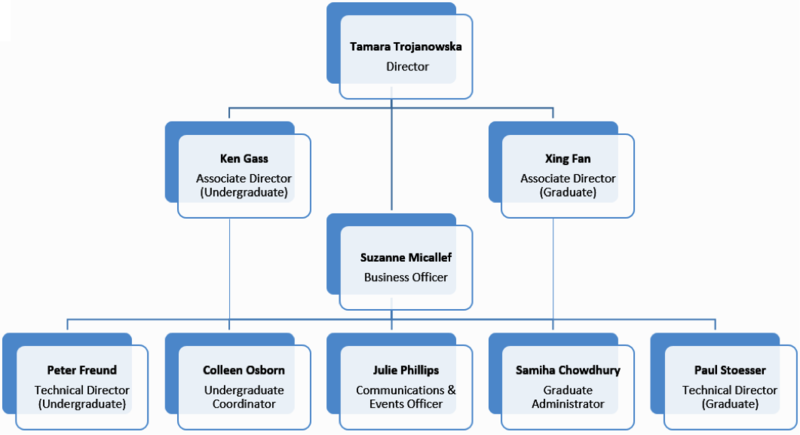 Our GSU Union, better known around our Centre as the Student Exec, is a group of driven leaders in our community who act as the CDTPS graduate students’ representatives on the Programming and Academic Committees, as well as on advisory roles in both the large GSU and other Centre business. In addition, a CUPE (TA Union) Steward keeps us informed of all kinds of important information. If you want to get involved, or ever have a student question, do not hesitate to contact: dtpsgsu@gmail.com. You will receive further information about roles, goals, and events at Orientation! Every lecture, performance, workshop, and event at the Centre for Drama, Theatre and Performance Studies is open to students your attendance is encouraged. These events enrich your academic life at the Centre and create a network of support and information about the current research happening here. Information regarding these events will be sent to your U of T email.